Why The Super Hero Run? The families are focused on making the day festive and fun and want everyone to enjoy this Super Hero Run while dressed as their favorite character! Come out and feel like a child again as you become Superman, Wonder Woman or maybe the Incredible Hulk while running through a quiet Wake Forest neighborhood. The event is stroller-friendly and pet-friendly (dogs on leashes) so don't worry about getting a babysitter or dogsitter - we don't want anyone in the family left behind! 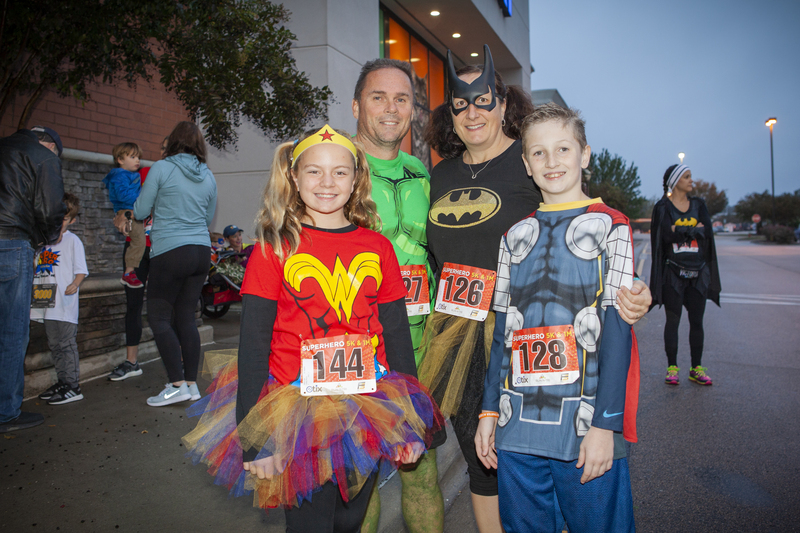 The 5th annual Super Hero Run is Saturday, October 26, 2019 with festivities from 7am-10am. There will be three on-site events, as well as a virtual race. By including the virtual 5K we will embrace friends, family, and others in our national community who want to help our causes but can’t (or don’t want to) run. We begin right in front of Run-n-Tri Outfitters, head behind the building and up to Retail Drive. Continue on Retail Drive to Warmoven and proceed through the Crenshaw Hall neighborhood to the turnaround. At the turnaround point of the 5K, you will find an Aid Station with ice cold water and maybe some special Halloween treats! The 5K is USATF certified and sanctioned, therefore bicycles, tricycles, skates, boards, or scooters are not allowed. 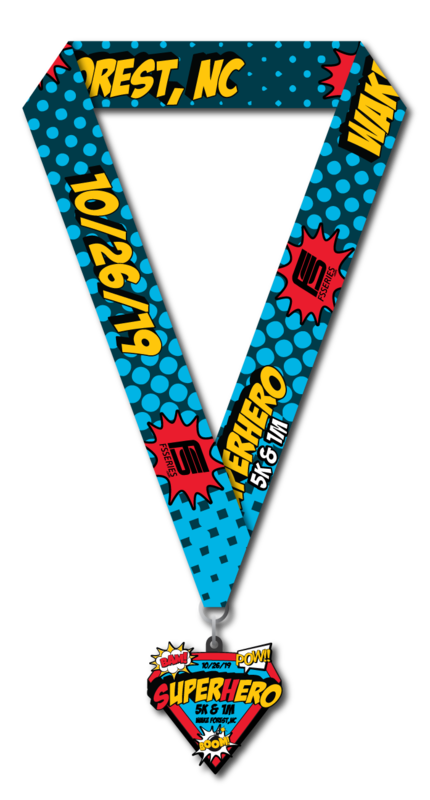 All registered 5k participants will be greeted at the finish line with a 2019 Super Hero Run medal! Starting in 2016, we featured a Super Hero - in 2015 it was informally Superman, 2016 it was Hulk, and in 2017 it was The Incredibles: think team/family costumes! Anyone who dressed as The Incredibles (or a member of The Incredible family) was in our costume contest. But beginning in 2018 Sam Hopper's family decided to let the runners choose their favorite super hero figure. Since so many Super Heroes have become popular this year, we think it will be so much more fun to see what everyone comes up with this year. The costume contest will be judged by someone other than the Race Director - it could be a randomly selected runner - with prizes for the winners. Everyone who dresses up as a Super Hero is included in the contest! 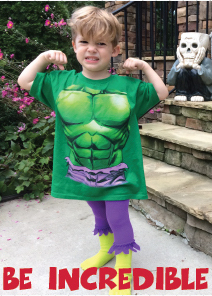 NEW Pajamas: Sam Hopper loved pajama day at school! His sweet family collects pajamas each year on his birthday and donates them to children in Wake County who need new PJs. Any size of new, packaged pajamas can be donated. Please grab some next time you are at the store to clothe a local child at night.